"Everyone loves bass and treble, so I just thought why not just have loads of both?" Tom Falconer, a sound guy for the St David's Church band in Maidenhead, has claimed to have discovered the perfect universal equalisation formula for mixing music according to independent audiophile magazine 'Acoustink'. The technique however is simply to just "turn all the knobthingys all the way up", which the magazine have confirmed has had nothing but stunning results so far. "It was just a normal Tuesday evening of worship practise at the sound desk, and I just thought to what it would sound like to turn everything up. Everyone loves bass and treble, so I just thought why not just have loads of both? It makes sense when you think about it. Next thing you know, the band are playing what can only be described as heaven on earth, which is what we always pray to specifically sound like just before we start practise. The band asked me what happened and they couldn't believe it when I started explaining. Our small baptist church now draws a 1,500+ congregation on a weekly basis." "I have been working in the industry for the last two decades, mixing and producing countless records and I can't believe I never thought of this. Just turning everything up on the board. 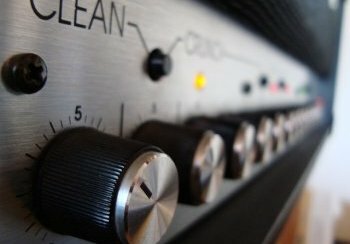 I guess it makes sense that the perfect balance is just all the frequencies turned up to the same maximum level"
Since Acoustink spilled Falconer's equalising beans on the sonic soundscape, record labels have praised Falconer's discovery for saving them thousands of pounds hiring studio technicians. However, since the exclusive was published, Acoustink have been put out of business since the discover makes the entire contents of the magazine redundant. This seems spurious. But then I'm not a magic 8 ball. People win awards for all sorts of things. Not relevant right now, but good information to have, I feel.